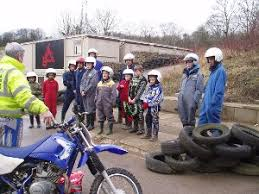 BUMPY (Birstall Urban Motorcycle Project for Youth) is a charity which was set up in 1989. They provide a safe, supervised place for people of all ages and abilities to get involved in riding motorbikes on road and off road. To educate young people who attend our facility in a range of programs including drugs awareness and the fire service are built into projects, motorcycles being the tool to engage the young people. Over the years, we have changed, adapted and improved our facilities to provide the services which we deliver, to a diverse clientele many being hard to reach young people including those with disabilities and learning difficulties. They have been selected as a finalist in The Peoples Projects scheme, run by the National Lottery, to potentially win a £50,000 grant to continue their work with children and young adults with additional needs in the local area. In order to win Bumpy must collect votes online. Can you please click on the link below and vote for them.